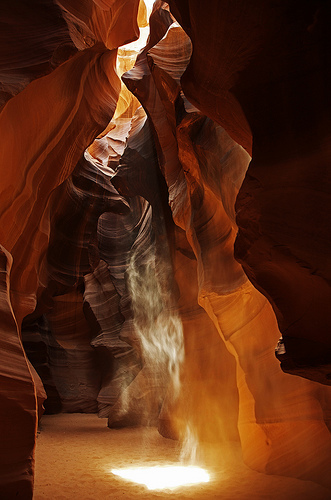 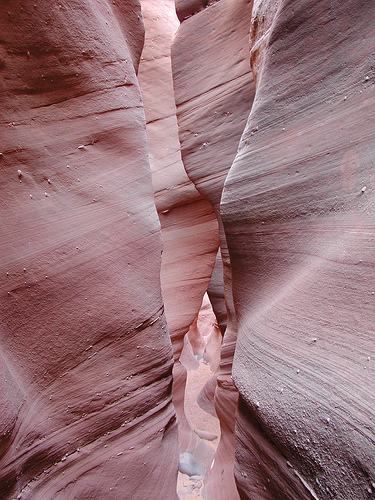 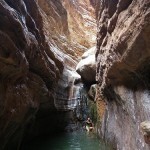 A slot canyon is a narrow canyon significantly deeper than it is wide. 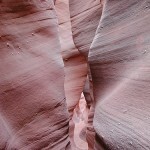 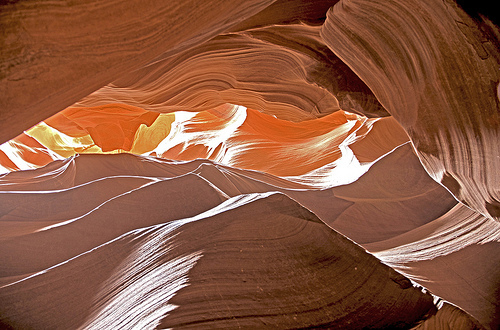 Some slot canyons measure less than three feet at the top and can be more than 100 feet deep. 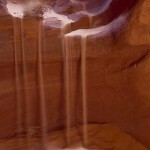 They are formed by water rushing through rock, most often sandstone and limestone rock. 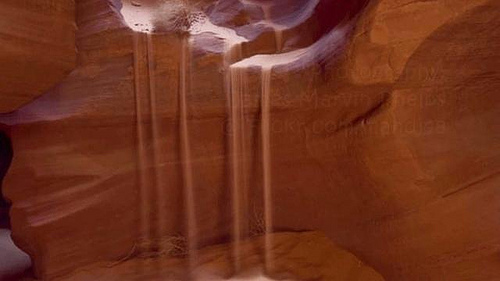 Only a small number of creeks will form slot canyons due to a combination of the particular characteristics of the rock, regional rainfall and wind. 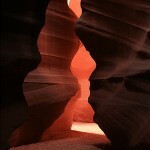 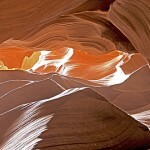 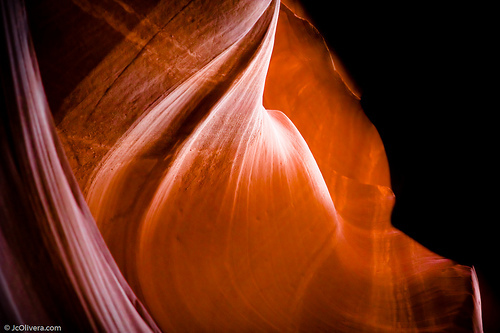 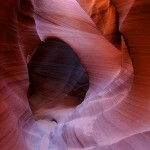 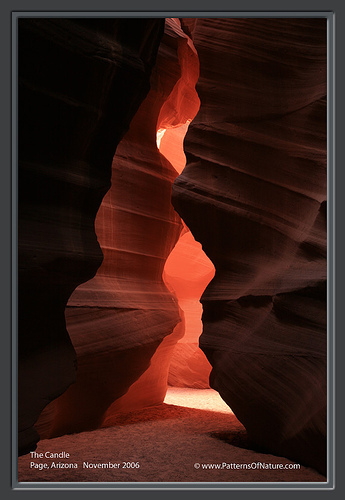 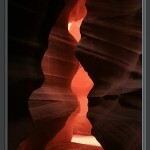 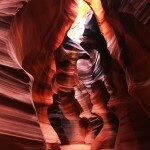 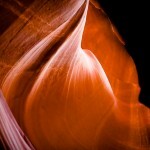 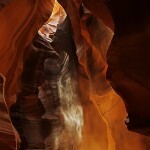 The above photographs are all from the Antelope Slot Canyons on the Navajo reservation, near Page, Arizona. 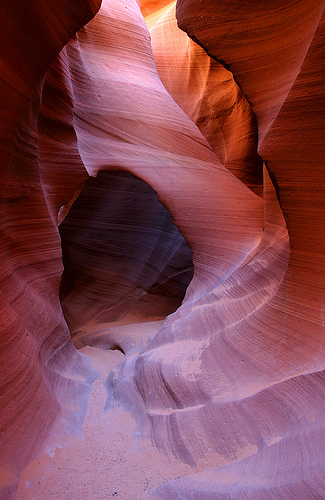 Though there are many other slot canyons that are deeper, narrower or longer, and some have rock that is even more colorful and sculptured, conditions at Antelope Canyon are ideal for catching light to make these majestic photographs. 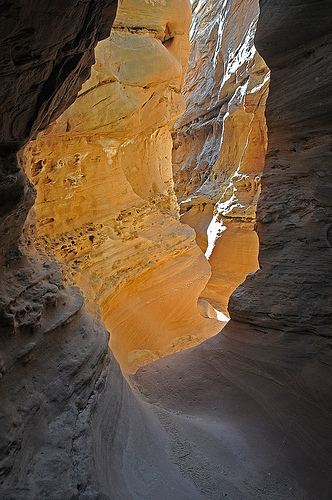 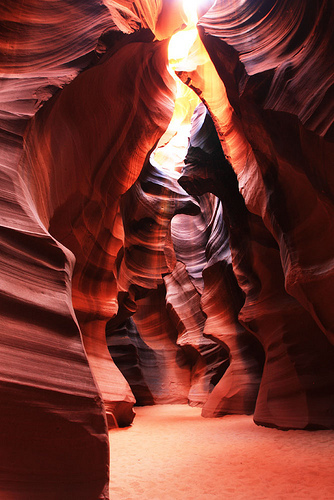 Utah has the largest concentration of slot canyons in the world. 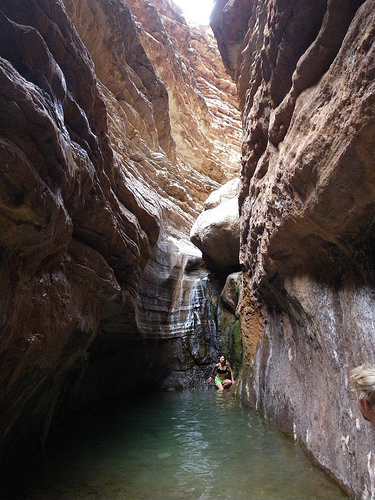 Most are usually filled with pot- holes of ice cold water, and explorers wear wet suits and wade and swim through the narrow slots. 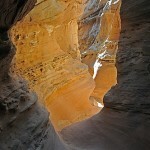 Little Wild Horse Canyon in Utah’s San Rafael Swell.